Over the last 10 years, the growth of olive oil and vinegar stores and tasting bars in the United States and beyond has been tremendous. In response to requests from many tasting bar owners, we at The Olive Oil Source became involved in being a key supplier partner. 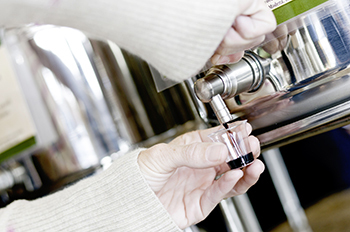 Originally, The Olive Oil Source focused on supplying equipment to olive oil producers, but around 2008, tasting bar owners, frustrated by other suppliers, came to us and asked us to start carrying a broader line of products for them to use to stock their tasting rooms. Eight years later, we have learned a lot about what is needed, which stores make it and which ones don’t. Below we will look at what is needed to open a tasting bar. Specifically, we will address what makes for a good location, the main elements of a good product line, considerations regarding label design, what makes for good staff, and some detail about what you need to know with respect to the products. We will also take a look at what you don’t need, such as a massive initial capital investment, lots of floor space, and exclusivity on product or location. Finally, we will make some general suggestions on what constitutes a good product line. Selecting a great location for your tasting bar is paramount.The first and foremost consideration in real estate is location, location, location. 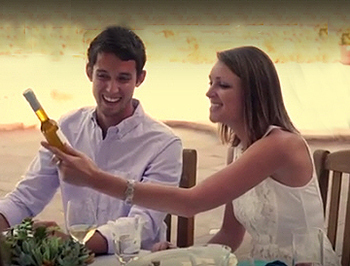 It is no different with site selection for your olive oil and vinegar tasting bar. The two models that seem to work best are a tourist-oriented location where you can draw on existing foot traffic, and a location that has a robust culinary clientele. Some good examples of the tourist model are a location with an existing tourist draw such as a shopping area near a beach or another significant tourist attraction, and a location in a wine tasting hub. We have also seen a number of stores succeed by finding a location in, for lack of a better description, a foodie area. In an area with upscale grocery stores, produce markets, kitchen supply, and wine shops, people who take their food seriously will happily make the extra stop to get superior olive oil and balsamic vinegar. Similarly, tasting bars often succeed in a location with a number of good restaurants. In order to attract that clientele away from more generic grocery stores, however, you need to have an excellent and unusual selection of products to keep foodies coming back. Product lines need careful consideration. Once you have pinned down a probable optimal location, consider your product line carefully. In broad strokes, you want to have a good selection of olive oils and vinegars and some ancillary products, but not so many that people get lost in the selection. A nice, clean fusti presentation for sampling is the backbone of your store.Fusti - and the opportunity they provide for tasting a product prior to purchasing it - are the backbone of the business. Fusti will highlight your core product, allowing people to taste from the fusti, refill their bottles from your fusti, and even buy fusti for their own use. A nice, clean fusti presentation makes the store. Make certain that customers know the purpose of the fusti from the moment they walk in the door. The pitch to have fusti in one’s kitchen for everyday oil and vinegar use begs to be made. Since customers are likely to fall in love with your fusti, it is wise to carry one- to five-liter fusti for home use. Focus on core products, but also offer a diverse array of auxillary products.Although the focus should be on your tasting bar products as they are what set you apart from other gourmet and grocery stores, auxillary products such as gourmet salts, spices, pasta, cheese, charcuterie, etc. are also advisable to carry since the market for tasting bars with cookie-cutter bottling and product lines appears to have reached saturation. For every one store opening, it seems at least one is going under, if not two. The most successful model we're seeing now is the one with a more diverse array of products. These stores pull from multiple specialty sources for their olive oils and vinegars, cheeses, and spices.. The importance of showcasing local products cannot be underestimated! Allow enough time for logo and label design. Allow sufficient time to develop branding of your product.Your bottled product will need a logo and label design. Many if not most of our customers have underestimated the difficulty of this phase of the project. They tend to get very bogged down with other issues and think the label aspect will be simple. More often than not, the design of the logo and labels holds up the opening of the store. Logo design can be accomplished by hiring the services of a graphic designer, a branding professional, or a less expensive alternative such as 99Designs or Fiverr. The label design is very important. You want your product to be distinctive, to jump off the shelf visually, to be original, and to be pleasing to the eye. That combination does not come easily, so allow plenty of time for this aspect. There are a number of different ways to approach your branding. Let’s look at some of them and address the pros and cons of each. Originality is a selling point in this business.One route is to etch or paint all of your bottles identically and apply an identifier sticker to state the content. This has the benefit of using one bottle for all your products and the economy of etching or painting all of your bottles identically thereby being able to do large runs. The downside to this is that, if you go with one of the larger suppliers to the market, that does essentially the same bottle etching or painting for all of the stores they supply, you are immediately identified as a member of the chain and your products are associated with the fairly mediocre products they supply. Additionally, while you may save some money on the bottles, there is the time and cost of printing and applying the identifier labels to consider. If you want to set yourself apart, and originality is a key selling point in this business, we suggest you do your own design and have your own distinctive bottles etched or painted. Alternatively, you can make separate labels for each product, but you don’t want to get too carried away with this as it becomes quite expensive having 30 – 40 different labels. Some customers prefer to print large rolls of labels, so like etching and painting, you have the ease of using one bottle and label for all your products. Then an identifier is applied to each bottle. While you can save money on the label printing, the extra cost of the identifier and its application will probably offset any savings on the roll printing. What is our preferred labeling approach?Our favorite approach, rather than etched or painted bottles or a massive number of different labels, is to have a standard label and to simply change the content identifying text on each label. A variation is to have the label in one color for extra virgin olive oils, another for flavored olive oils, and a third for vinegar. Most printers can accommodate this quite easily in small batches and you don’t need to print rolls of 1,000 labels for each product. It allows you to set yourself off as an independent operation, looks professional, and facilitates the creativity of interesting label designs. Whatever your labeling choice, be sure to incorporate the same design of your bottles into your signage and advertising for continuity of branding. Now let's address the most critical factor in the success of your store: the people. The stores that have the best success are the ones that have floor personnel who are cheery, clean and well dressed, good with people, and familiar with their product. Many customers have no clue about all the adulterated product on the market, both oil and vinegars, nor what constitutes quality products, nor why they should care. If your floor staff has a solid understanding of these topics, they will capture the customer and sales - almost guaranteed. A wealth of information on these topics is publicly available at The Olive Oil Source. If you have any questions about any aspect, please never hesitate to contact us. Cheerful, knowledgeable staff can make all the difference.People on the floor should be knowledgeable about your core products and able to answer common questions such as What makes an extra virgin olive oil extra virgin? and Where and how are balsamic vinegars aged? Customers may also ask about the difference between traditional farming and super high-density farming or different olive varietals. The knowledge you and your salespeople can offer will go a long way. Sales personnel should especially be familiar with the individual products that you sell. That knowledge is what sells the products because customers are interested in the details of each product. What don’t you need? For starters, you don’t need a huge initial investment. We see a lot of stores invest heavily in displays and interior décor. In fact, austere and clean often helps the prospective customer focus on the products. Obviously you want a very attractive store, but don’t burden yourself with a lot of debt that can sap away your profit margin. As long as your store is attractive, clean, organized, and well stocked, your floor staff should be able to sell your product. Additionally, while your store should have good traffic flow, it shouldn't be so large that you have to try to fill it up with endless products that don’t move too well. Usually 1,000 square feet is plenty of space to work with and you can get by with less if you are well organized. One of our most successful customers operates out of a space of 650 square feet, but this tasting bar has knowledgeable staff, great presentation, and good products. The result? They sell like crazy. Start with a small inventory, then restock what sells well.Be attentive to what products sell well and which ones don't. There is no reason to take up space with products that don’t move. Start with a small inventory of different products, restock the ones that move, try something new to replace the ones that don’t, and don’t hesitate to have seasonal offerings. Keep your selection fresh and interesting. Another thing you don’t need is exclusivity, whether it is for your store in a particular area or for your supplier. Trying to corner a market whether it is cars, onions, silver, or any number of other products, has always failed in the U.S. because our economy is based on competition. In the end, your success depends on providing a quality product at a good price. If you offer this, you will create exclusivity because no one will see an opportunity to compete with you. Focus on knowing your product so you can inform your customers why your product is superior to other products out there. One side note on this: The Olive Oil Source does not have and will not have retail stores, and will never go into competition with you - unlike our competitors. Offer basics, like organic extra virgin olive oil, an all-purpose everyday extra virgin olive oil, several flavored olive oils, a high-quality cask-aged balsamic, and an everyday red or white wine vinegar.Finally, here is some guidance on what products seem to work best. We generally propose a few organic extra virgin olive oils, a few single varietal extra virgin olive oils, and a good all purpose, everyday, moderately priced extra virgin olive oil. For vinegar, a top-notch balsamic is vital so you can show your customers what real quality is. We’re not talking about some thick, gooey, sugary, falsely-aged balsamic, but a cask-aged, rich balsamic with port and Madeira flavors picked up from real cask aging. The number of flavored balsamics can be infinite and is probably the one area to offer the widest variety. Food lovers adore a high-quality flavored balsamic and the different flavors open up doors to very creative combinations. Last but not least, a good everyday red and/or white wine vinegar is an essential item to have. In addition to this, you should have a diverse array of other specialty products as referred to above. Be creative and find local producers as much as possible. Opening a tasting bar is not an overly complex proposition. First and foremost, spend a lot of time reading The Olive Oil Source and learn about the products you intend to sell if you don’t already know them thoroughly. Find a good location that draws on idle tourists looking for something to spend money on or one that is where food-oriented customers are already shopping. Identify a reliable supplier like The Olive Oil Source that focuses on quality, not quantity - as in the end, it is the quality of your product that will give you exclusivity. Design a distinctive and original logo and label that make your products jump off the shelves and are still pleasing to the eye. Once you have your general design ready, send it to The Olive Oil Source so we can produce your labels, modify the text for each of your products at a very low cost and print your labels in small runs. If you are going to have employees, educate them so their knowledge sells your product. Select your product line, and hunt down additional interesting gourmet products that set you apart, and open your doors. And lastly, don’t ever hesitate to contact us for help at any stage of this process.